It is neither good nor bad. I think that it is excellent in cost performance. I think that I will buy from now on. This review is about item#77652741. 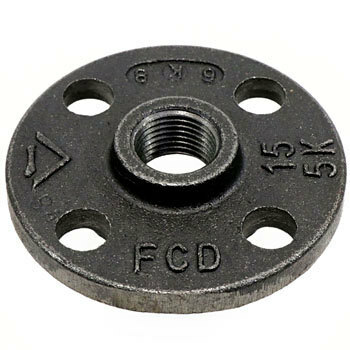 Flanges are saved for some reason because they do not put much in the neighborhood home center. This review is about item#77652732. I bought it because I wanted to use a gas pipe to diy the TV board shelf! It was easy to use as it was! The hole of the bolt is slightly larger, but it is within the allowable range. Since the flange is not very much in the shop front delivery is quick and it is saved. I bought it for the first time, but it was too big anyhow! ! ! But things are cool! This review is about item#77652784. There is no problem for the product at all. Because our size mistake due to order mistake, we are looking for a method of installation. I purchased it because I use it with DIY. It was cheap, solid and satisfied.